110-inch Diagonal, 4:3 Aspect Ratio. View Size: 65.3" H x 87.2" W. Overall Size: 91.3" H x 94.7" W x 9.8" D. Black/Silver Case. Screen Material: MaxWhite FG, 1.1 Gain. 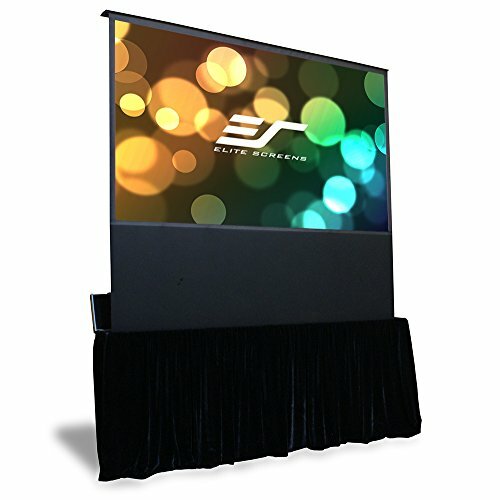 Fiberglass-backed, multi-layer weave, 180 degree wide viewing angle, fully black backed front projection screen with textured surface. 4K Ultra HD and Active 3D Projection Ready. GreenGuard and GreenGuard GOLD Certified | UL 2818. Mildew resistant, and easy to clean with mild soap and water. Includes infrared (IR) and radio frequency (RF) remotes, stage case, roadie flight case & black velvet skirt. 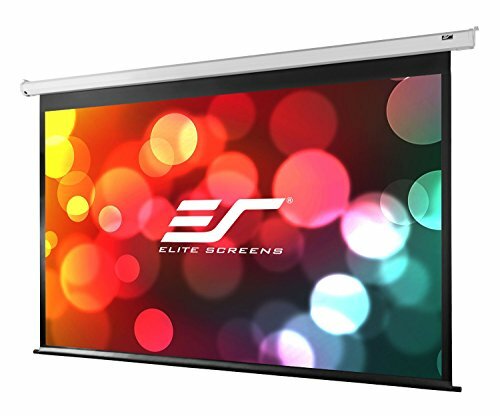 112-inch Diagonal, 54.9-inch H x 97.6-inch W Viewing Size, 16:9 HD Format Aspect Ratio with a 16-inch Black Masking Drop in a White Finish Case/Housing. 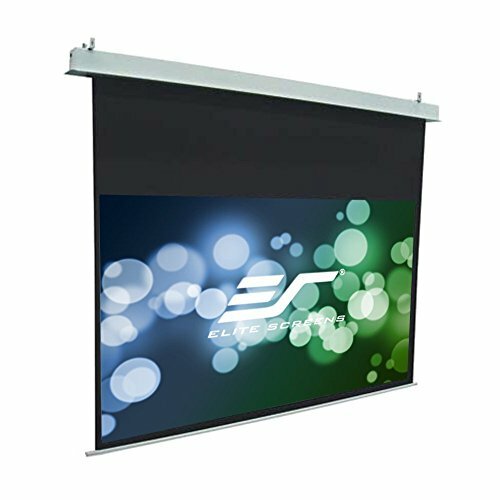 Concealed In-Ceiling Recessed Front Projection Screen with Swift Operating Tubular Motor, Designed for Commercial and Residential Installations. Safe and Secure with NFPA 701 Flame Retardant, GreenGuard Gold Certified, and is Plenum Rated. Includes Full In-Ceiling Installation Kit, Infrared (IR) & Radio frequency (RF) Remotes, 3-Way Wall Switch, and 5-12 volt trigger. 97-inch Diagonal, 16:9 Aspect Ratio. 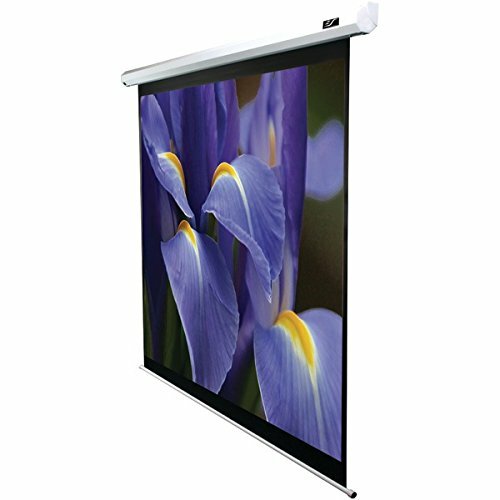 View Size: 84.0" H x 84.0" W.
Screen Material: VersaWhite, 1.1 Gain. 180 Degree viewing angle, Active 3D and 4K Ultra HD ready, glare-free surface, and can be cleaned as a whiteboard. 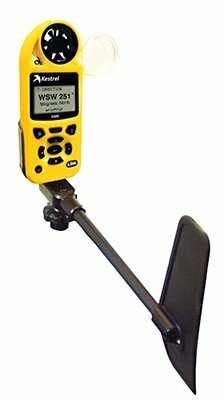 GreenGuard Gold Certified | UL 2818. 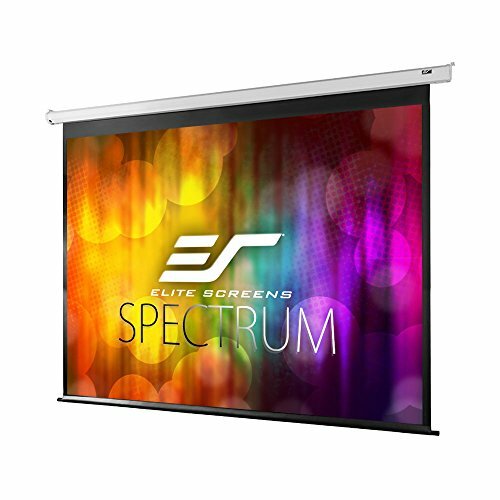 Scratch-resistant, nanotech resin, surface coating and transparent dry erase layers allows for glare-free projection screen to be used as a dry erase white board. 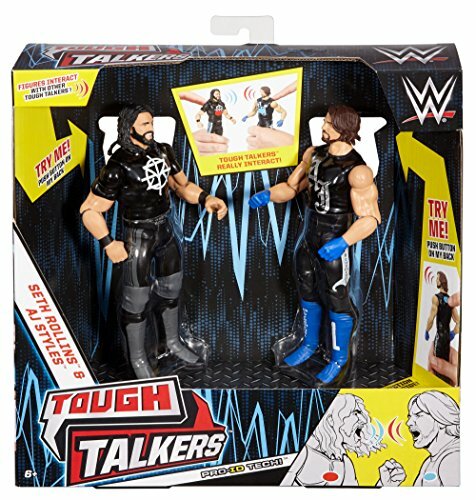 Optional mobile stands available. Includes sliding wall brackets, heavy duty pen tray, and dy erase markers and erasers. Size: height 18cm/7.04", width 16cm/6.29", thickness 16cm/6.53"
The bag is not only the first choice for a seaside holiday, but a woven bag with a unique design and unique style will also attract a lot of attention on the street. 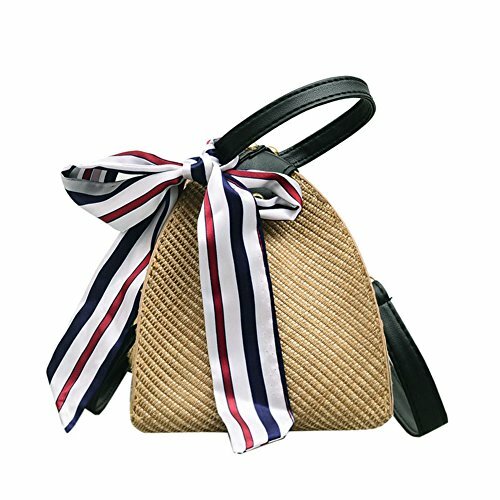 The straw braided bag is the representative item of the Japanese pastoral style, and the pattern of the bag looks cute and lovely. 247-ich Diagonal, 5:20 Aspect Ratio. View Size: 60.2" H x 240.0" W.
Includes frame border, pen tray, dry-erase pens, and eraser. 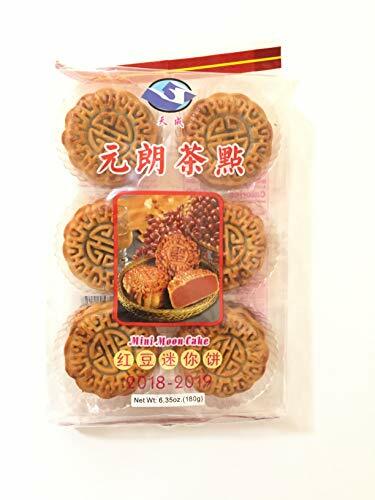 Comes shipped in a roll. PLEASE NOTE: Professional installation by wallpaper installer is recommended! Insta-DE2af must be applied over a flat surface as any imperfections in the wall will show. Filling, sanding, and wall work may be required to ensure a flat surface. 110-inch Diagonal, 16:9 Aspect Ratio. View Size: 54.0" H x 96.0" W. Overall Size: 68.0" H x 109.2" W x 3.1" D. Black Case. 125-inch Diagonal, 16:9 Aspect Ratio. 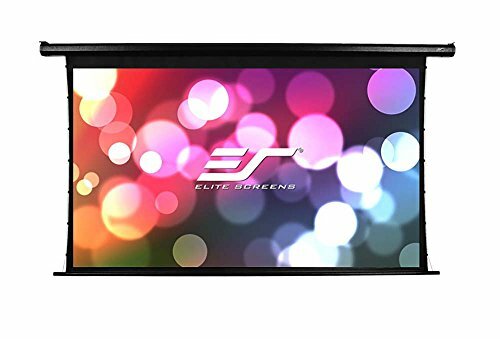 View Size: 61.3" H x 109.0" W. Overall Size: 74.5" H x 127.9" W x 3.1" D. Black Case. 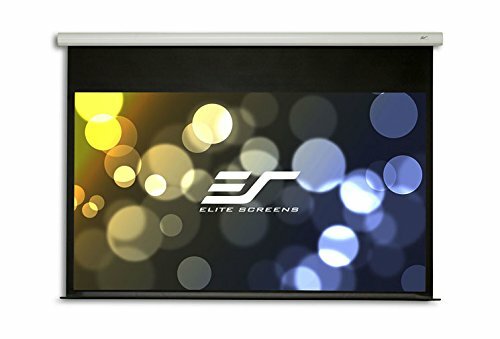 Features a tab-tension system that prevents wrinkles and ensures the flattest possible viewing area. The durable casing easily installs to your wall or ceiling with the included install kit. Ships fully assembled, plug and play ready. 106-inch Diagonal, 16:10 Aspect Ratio. View Size: 56.2" H x 90.0" W. Overall Size: 66.2" H x 103.1" W x 3.1" D. Black Case. 84-inch Diagonal, 4:3 Aspect Ratio. View Size: 50.4" H x 67.2" W. Overall Size: 64.4" H x 79.4" W x 3.1" D. White Case. 91-inch Diagonal, 16:9 Aspect Ratio. View Size: 44.6" H x 79.4" W. Overall Size: 62.8" H x 86.1" W x 3.5" D. Extra 12-inch Drop. White Case. 120-inch Diagonal, 16:9 Aspect Ratio. 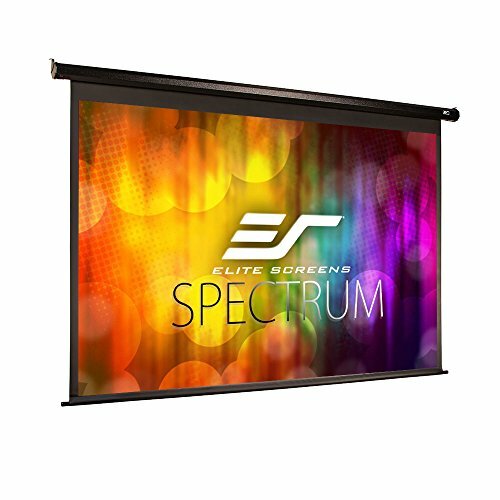 View Size: 59.1" H x 105.0" W. Overall Size: 107.9" H x 112.0" W x 15.7" D.
Features a sleek, black velvet-coated frame that absorbs projector overshoot and increases picture contrast. 2.36" width frame. 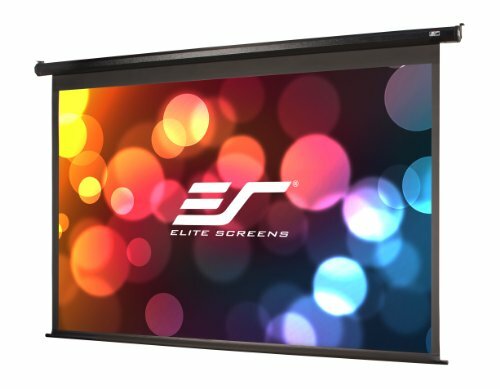 Sliding wall brackets that allow screen to slide horizontally for a properly centered installation are included. 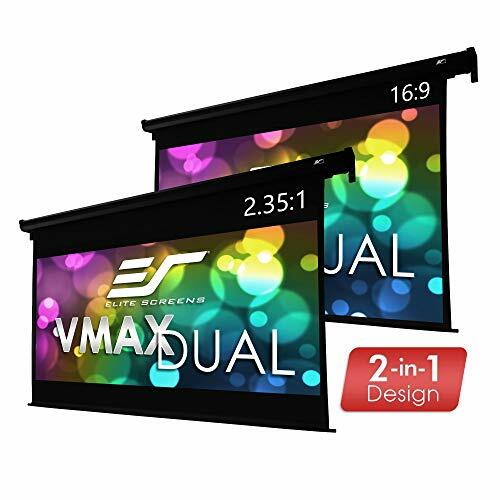 Material: MaxWhite a 1.1 Gain, 4K Ultra HD and Active 3D Ready FRONT Projection Screen with Black Backing. 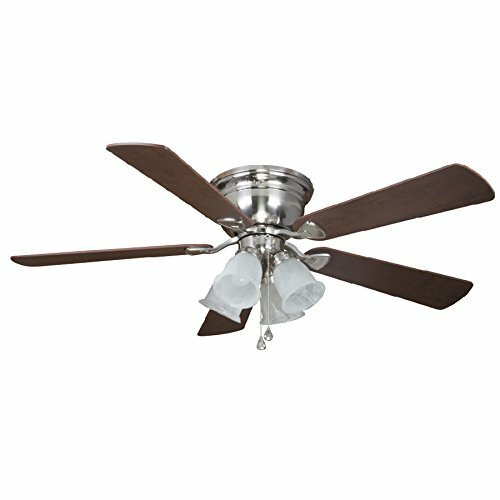 Features a 180° viewing angle is Mildew Resistant, Easy to Clean and is GREEN GUARD and GREENGUARD GOLD Certified for Safe/Clean Indoor Use. 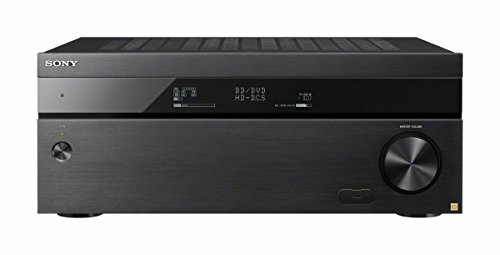 Compatible with Standard UHD/HD projectors. 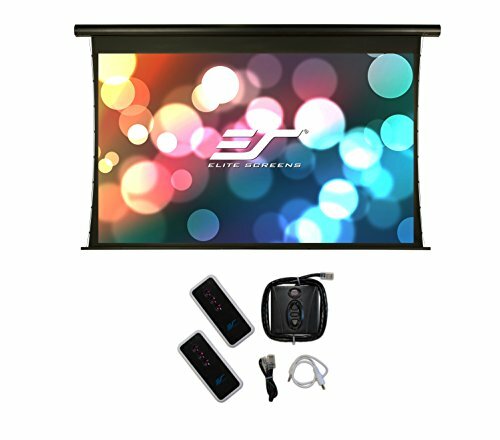 Not compatible w/ Ultra/Short Throw Projectors. 120-inch Diagonal, 16:9 Aspect Ratio. 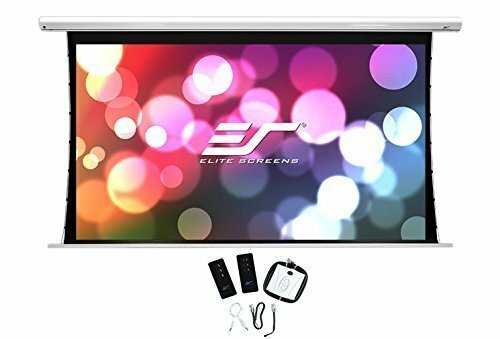 View Size: 58.3" H x 104.1" W. Overall Size: 59.3" H x 104.9" W x 1.0" D.
135-inch Diagonal, 66.2-inch H x 117.7-inch W Viewing Size, 16:9 HD Format Aspect Ratio with a Black Velvet Finished Frame. 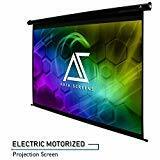 Overall Assembled Size: 70.9-inch H x 122.4-inch W x 1.6-inch D.
Easy to Set-Up Sturdy 2.36-inch Wide 6-Piece Light-Weight Aluminum Frame, Features a Black Velvet Finish Made to Absorb Projection Overshoot while Enhancing Black Levels and Image Contrast. 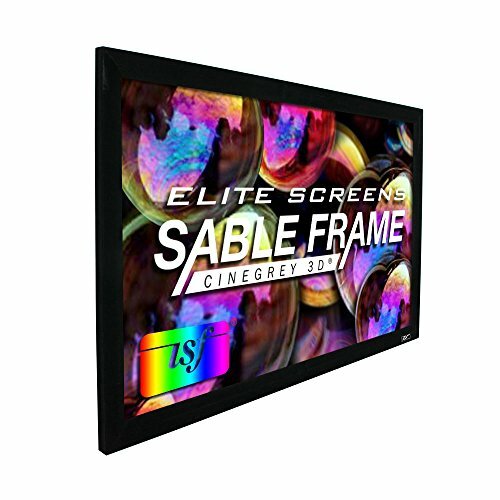 Sable Frame Includes Full Installation Kit with Adjustable Fix Plates that Achieve an Ultra Flat Projection Surface without Wrinkles or Waves and Sliding Wall Mount Brackets for Easy Hanging and Centering on your wall. 114-inch Diagonal, 2.35:1 Aspect Ratio. 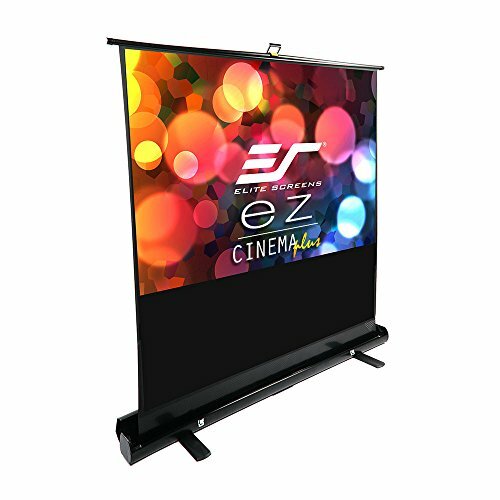 View Size: 44.6" H x 104.6" W. Overall Size: 71.4" H x 120.4" W. 120-inch Diagonal, 16:9 Aspect Ratio. View Size: 58.8" H x 104.6" W. Overall Size: 71.4" H x 120.4" W. Black Case. 134-ich Diagonal, 5:10 Aspect Ratio. 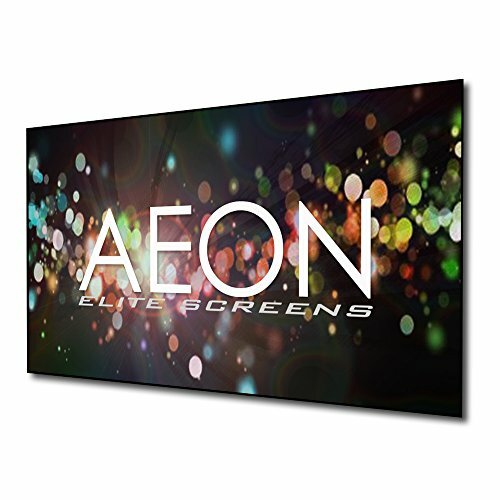 View Size: 60.2" H x 120.0" W.
84-inch Diagonal, 16:9 Aspect Ratio. View Size: 41.2" H x 73.2" W. Overall Size: 81.3" H x 80.4" W x 4.6" D. Black Case. 150-inch Diagonal, 16:9 Aspect Ratio. 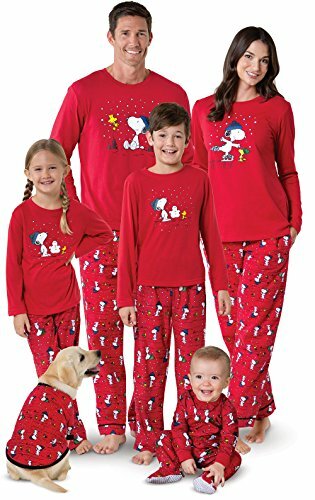 View Size: 73.6" H x 130.7" W. Overall Size: 86.8" H x 153.1" W x 4.0" D. Extra 6-inch Drop. White Case. 150-inch Diagonal, 16:9 Aspect Ratio. View Size: 73.6" H x 130.7" W. Overall Size: 84.1" H x 142.6" W x 3.1" D. Black Case. 180-inch Diagonal, 16:9 Aspect Ratio. View Size: 88.3" H x 156.9" W. Overall Size: 100.7" H x 168.3" W x 3.1" D. Black Case. 63-inch Diagonal, 4:3 Aspect Ratio. 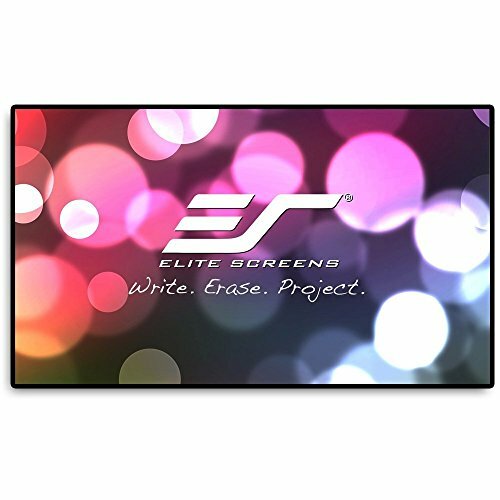 View Size: 37.5" H x 50.0" W.
Instant, soft-padded dry erase screen can be posted up easily with the included adhesive tape. Designed to function as a dual whiteboard and projector screen without the "glare" typically experienced on standard whiteboards. 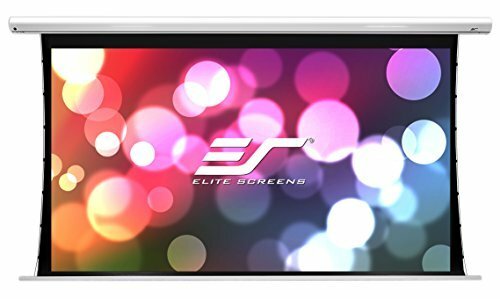 Coated with a scratch-resistant optical resin to protect the screen long term. Includes whiteboard markers, a high-density eraser, and a pen holder. Optional Frame Border & Pen Tray accessory kit available separately. Note: For best results and maximum product longevity, only use Elite Screens high density whiteboard eraser. Standard whiteboard erasers are not effective in erasing dry-erase marks from Elite Screens scratch-resistant, nanotec resin surface. 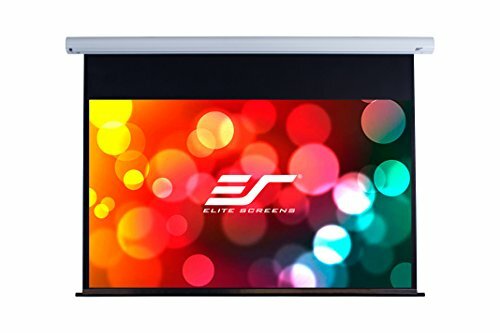 60-inch Diagonal, 4:3 Aspect Ratio. 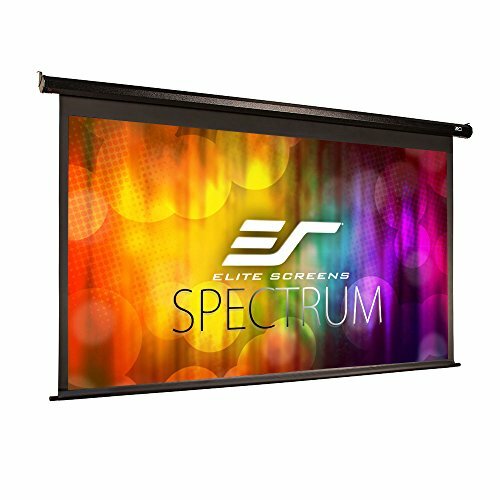 View Size: 36.0" H x 48.0" W. Overall Size: 76.6" H x 55.5" W x 15.7" D.
99-inch Diagonal, 1:1 Aspect Ratio. View Size: 70.0" H x 70.0" W. Overall Size: 78.8" H x 82.2" W x 3.1" D. White Case. 110-inch Diagonal, 16:9 Aspect Ratio. View Size: 54.0" H x 96.0" W. Overall Size: 84.6" H x 116.2" W x 4.0" D. Extra 24-inch Drop. White Case. 84-inch Diagonal, 16:9 Aspect Ratio. 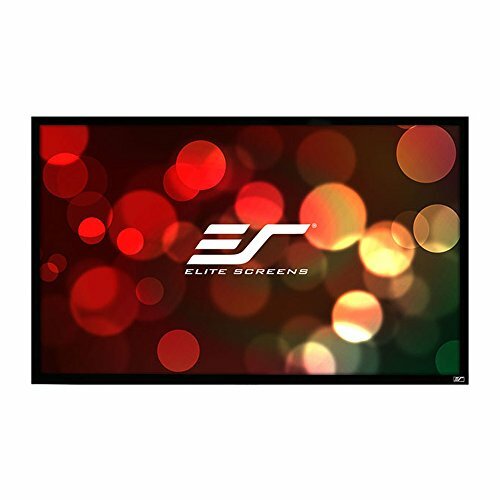 View Size: 41.2" H x 73.2" W. Overall Size: 81.8" H x 80.4" W x 15.7" D.
120-inch Diagonal, 58.9-inch H x 104.7-inch W Viewing Size, 16:9 HD Format Aspect Ratio with a Black Velvet Finished Frame. 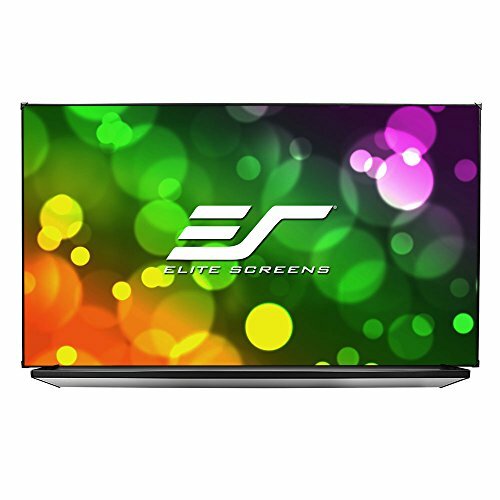 Overall Assembled Size: 63.5-inch H x 109.3-inch W x 1.6-inch D.
150-inch Diagonal, 16:9 Aspect Ratio. 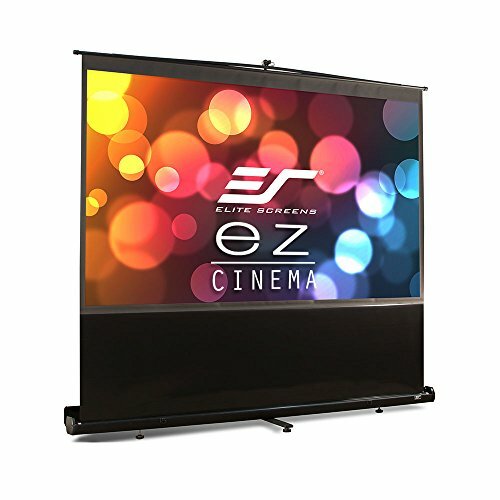 View Size: 73.6" H x 130.7" W. Overall Size: 92.2" H x 150.7" W x 4.0" D. Extra 12-inch Drop. White Case. Features an arcuate profile casing that easily installs to your wall or ceiling with the included mounting kit. Ships fully assembled, plug and play ready. 120-inch Diagonal, 16:9 Aspect Ratio. View Size: 58.8" H x 104.6" W. Overall Size: 77.0" H x 112.3" W x 3.5" D. Extra 12-inch Drop. White Case. 172mm x 14mm Motor, 65.3 Total Watts (high). CFM: Low=1752, Med=3393, High= 5024. 95-inch Diagonal, 2.35:1 Aspect Ratio. 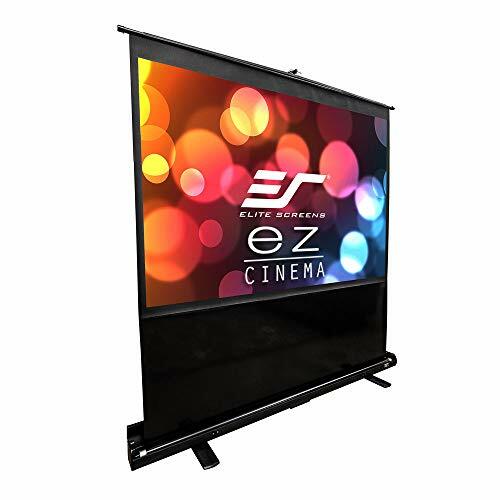 View Size: 37.1" H x 87.1" W. Overall Size: 61.6" H x 102.6" W. 100-inch Diagonal, 16:9 Aspect Ratio. View Size: 49.0" H x 87.1" W. Overall Size: 61.6" H x 102.6" W. Black Case.